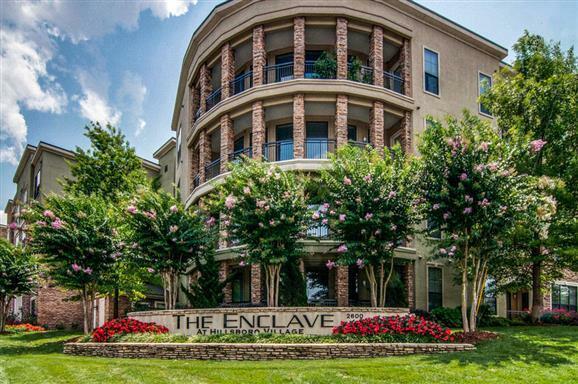 2600 Hillsboro Pike, Unit 108 #108, Nashville, TN 37212 (MLS #1879841) :: Maples Realty and Auction Co. RARELY AVAILABLE: Ground Level "Mercury" plan 2 BR, 2 BA,& Office! Minutes to Vanderbilt, Hillsboro Village, Green Hills & 12 South. Granite, Stainless appliances including Washer/Dryer. Incredible amenities include private gated access, concierge, fitness, club house, wi-fi lounge & wine room! NO STEPS, NO ELEVATOR Rental Suites for Guests!